With four out of five Chiltern League Fixtures complete, Leighton Buzzard Athletic Club are sitting in a great position overall as well as in a number of age categories. The U11 team of Hattie Grimshaw, Julia Bell and Katie Killick got LBAC off to a great start finishing 13th. There were six U11 boys out with Thomas Hirst-Mitchell and Daniel May pushing each other to the line to finish in 19th and 20th places. Aaron O’Dwyer completed the scoring team in 41st place to keep hot on the tails of MK in sixth. In the U13s, both the boys and the girls achieved their best team performances of the season with the lads in fifth and the girls in eighth. The U15 girls once again turned out in force for this fixture with a complete team of four venturing over the M1 for the race. Ellie Rabbits once again led home the team that included Dana Carter, Evie Gilmour and McKenna Keefe. Impressively McKenna has run in all four of the races this season which has to be hugely commended in what is a challenging age group. On the day the girls were eighth and remain eighth overall. In terms of results, Jo Sharples led the team home in 22nd but there were notable performances from Ruth Mitchell, who only came to her first session with the club last week, Kas Gardner, making her debut and Amy Inchley returning from injury. The lady vet team did particularly well by finishing fifth on the day. 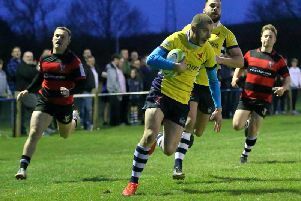 In the Senior Men, for the sixth time in nine fixtures LBAC had more than 20 men running, and crucially almost all those who have been battling injury turned out too. With a strong team out, it was still something of a surprise that LBAC performed as well as they did. For the first time ever, Leighton had two runners in the top 20, five in 50 and closed the team of 10 in 75. The result of all this means that the men’s team are now in third for the season and just 16 points ahead of Harrow, so that battle looks like being incredibly close and every single point will really count. As a club, LBAC sit seventh overall - where they finished last season - but aren’t far behind the leading group with one race to go, at Campbell Park in Milton Keynes.